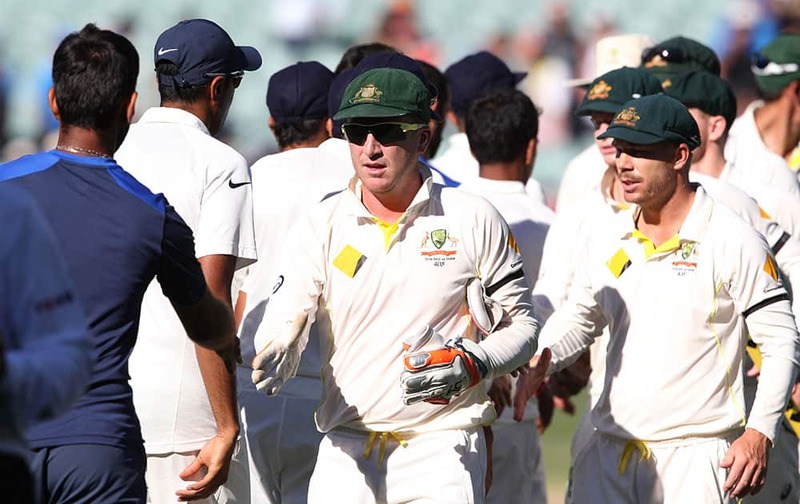 Australia's Brad Haddin and teammate David Warner, shake hands with the Indian players following their 48 run win on the final day of their cricket test match in Adelaide. 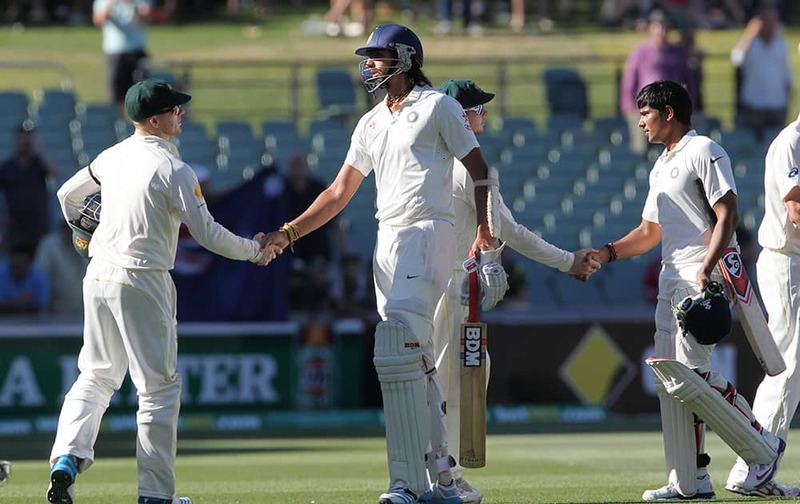 Ishant Sharma and Karn Sharma, congratulate Australian players Chris Rogers and Steven Smith after their 48 run loss on the final day of their cricket test match in Adelaide. 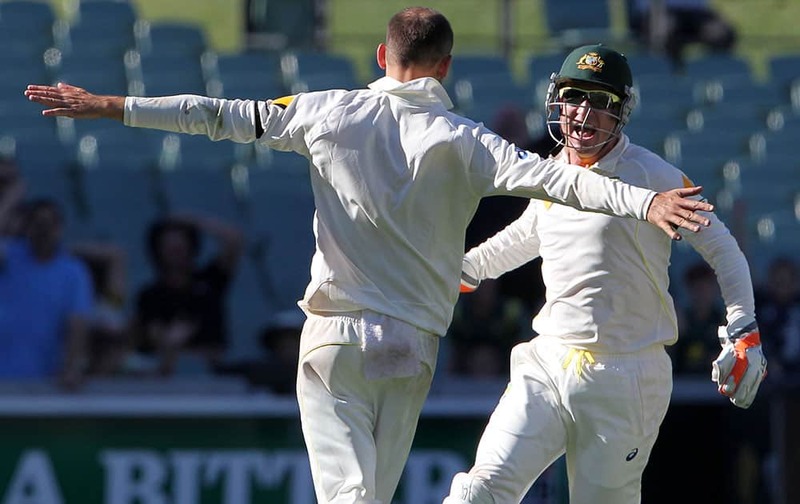 Australia's Brad Haddin runs to teammate Nathan Lyon as they celebrate after defeating India by 48 runs on the final day of their cricket test match in Adelaide, Australia. 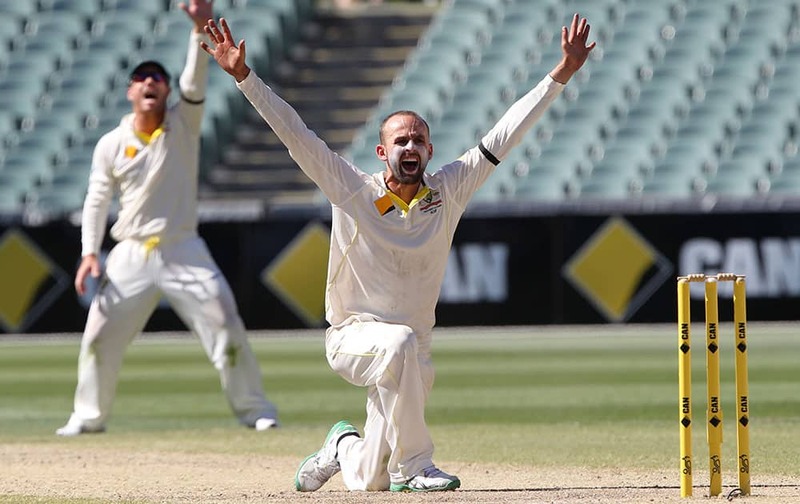 Australia's Man of the Match Nathan Lyon appeals for a wicket during the final day of their cricket test match against India in Adelaide, Australia. 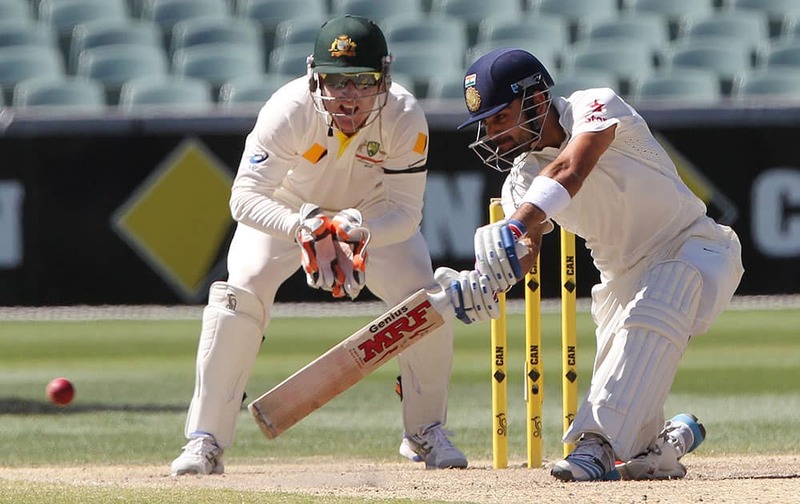 Virat Kohli plays a shot as Australia's Brad Haddin looks on during the final day of their cricket test match in Adelaide. 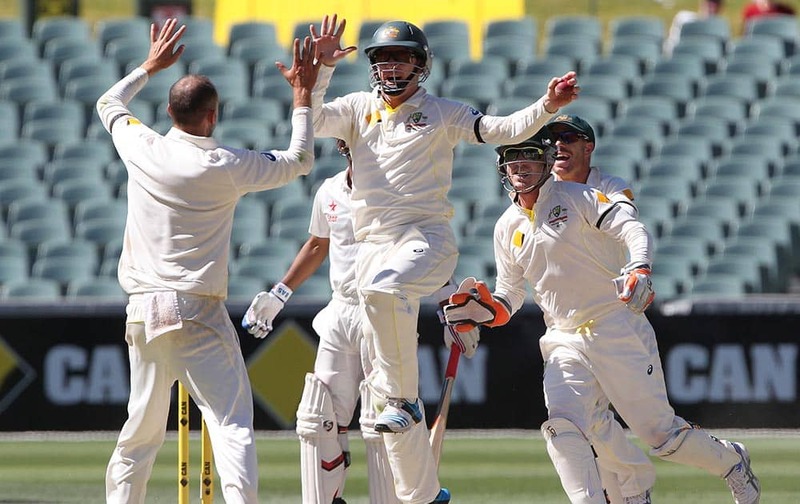 Australia's Chris Rogers leaps in the air to celebrate with teammate Nathan Lyon after catching out India's Ajinkya Rahane for no score during the final day of their cricket test match in Adelaide, Australia. 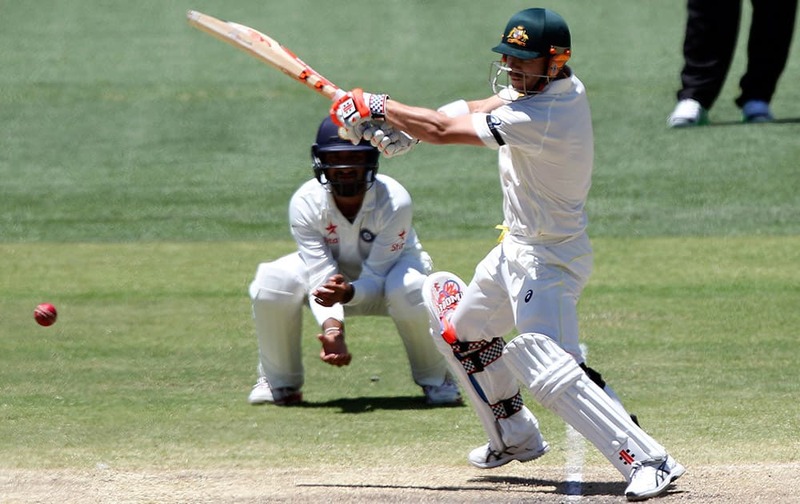 Australia's Nathan Lyon, appeals successfully to dismiss Indian batsman Murali Vijay for 99 runs as wicketkeeper Brad Haddin, looks on during the final day of their cricket test match in Adelaide. 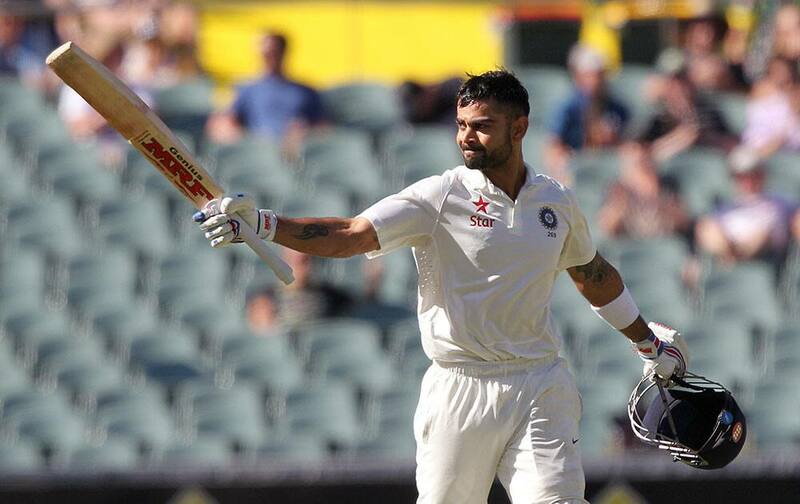 Virat Kohli reacts after reaching a century during the final day of their cricket test match against Australia in Adelaide, Australia. 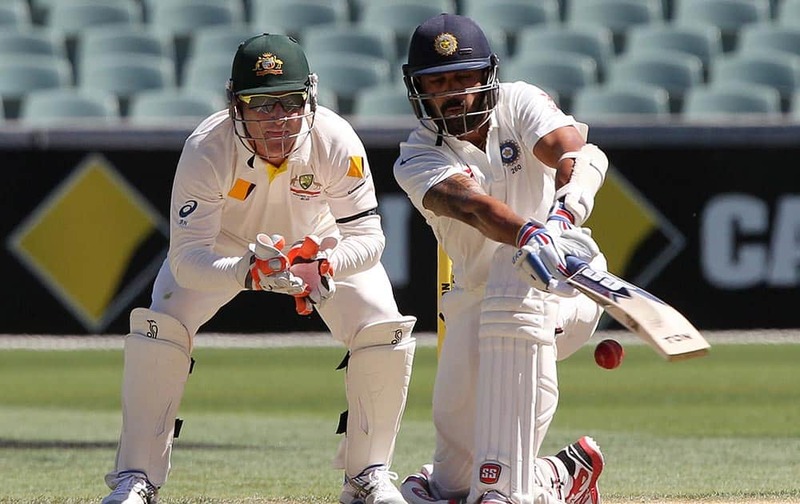 Murali Vijay plays a shot as Australia's Brad Haddin and David Warner, look on during the final day of their cricket test match in Adelaide, Australia. 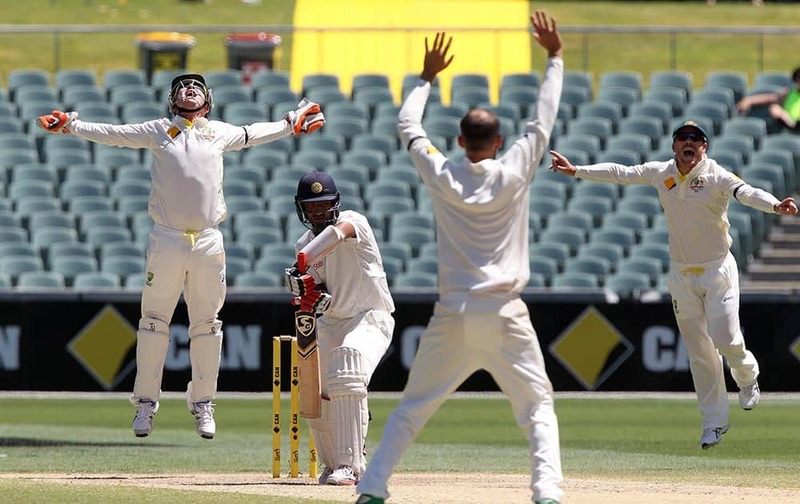 Australia's Brad Haddin, celebrates as he takes a catch to dismiss India's Cheteshwar Pujara, off the bowling of Nathan Lyon, as his teammate David Warner, looks on during the final day of their cricket test match in Adelaide. 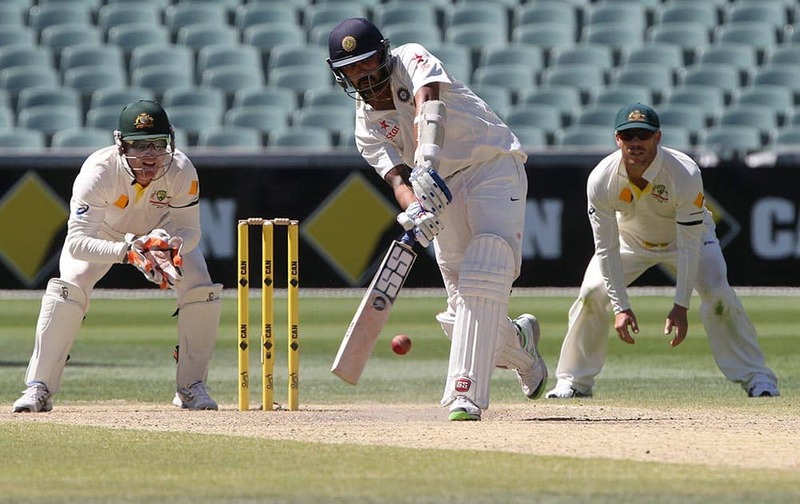 Murali Vijay plays a sweep shot as Australia's Brad Haddin, left, looks on during the final day of their cricket test match in Adelaide. 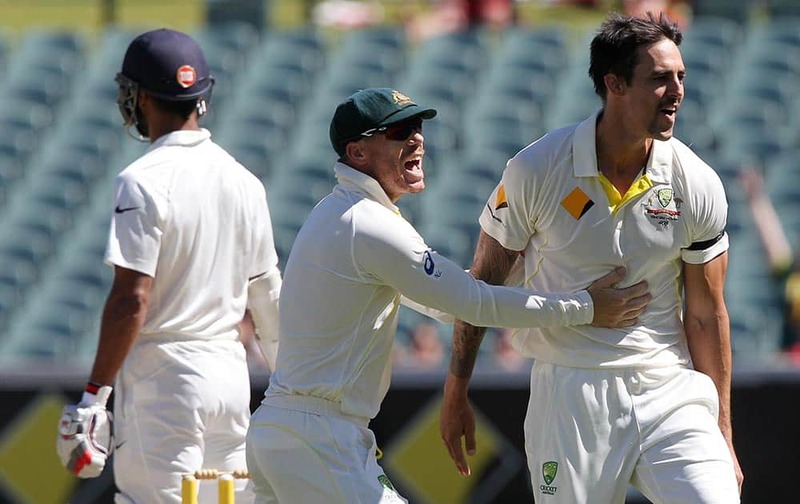 Australia's David Warner congratulates teammate Mitchell Johnson, after he dismissed India's Shikhar Dhawan, during the final day of their cricket test match in Adelaide, Australia. 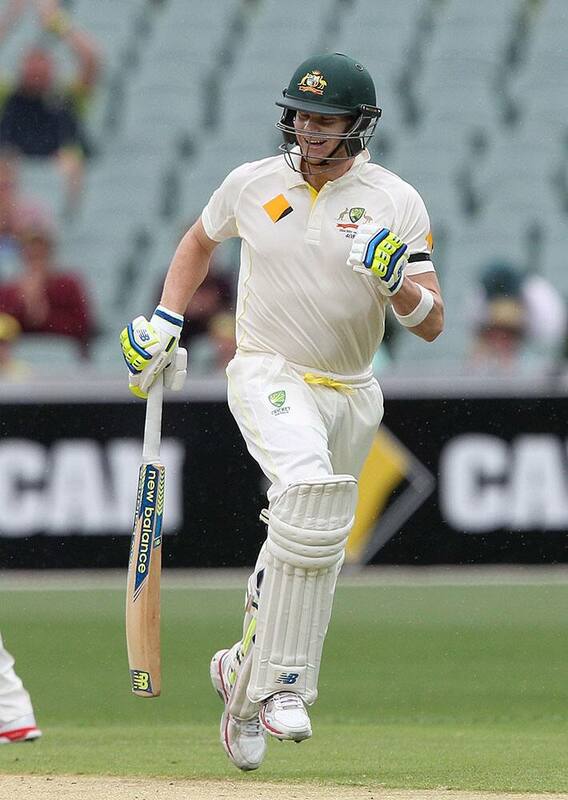 Australia's Steven Smith plays a shot, during the fourth day of their cricket test match in Adelaide, Australia. 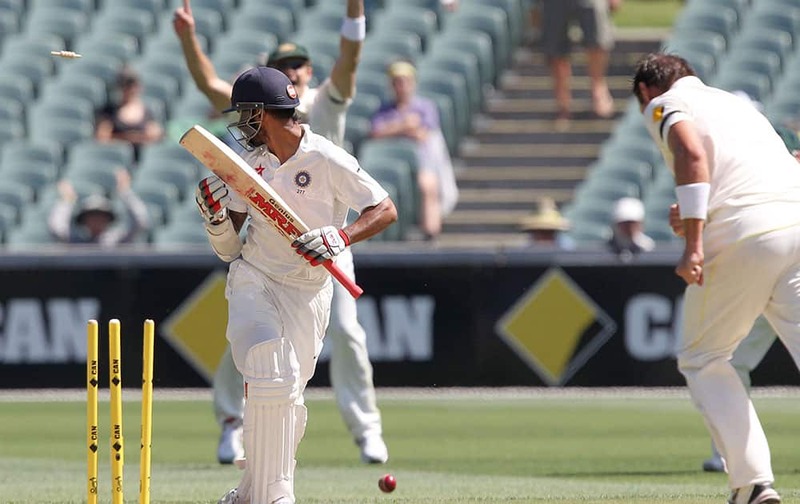 Karan Sharma, celebrates taking the wicket of Australia's David Warner, during the fourth day of their cricket test match in Adelaide. 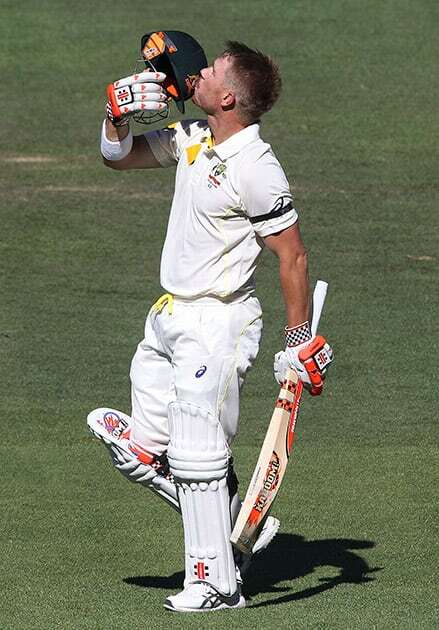 Australia's David Warner celebrates his 100, during the fourth day of their cricket test match in Adelaide. 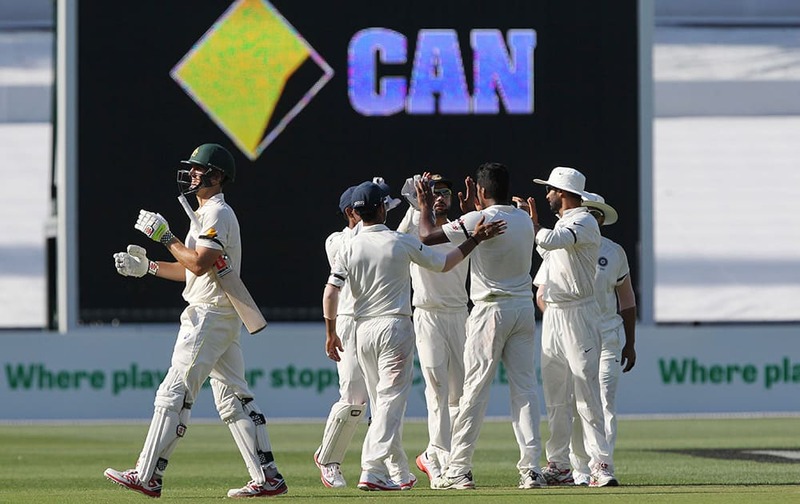 Players celebrate the wicket of Australia's Shane Watson, during the fourth day of their cricket test match in Adelaide. 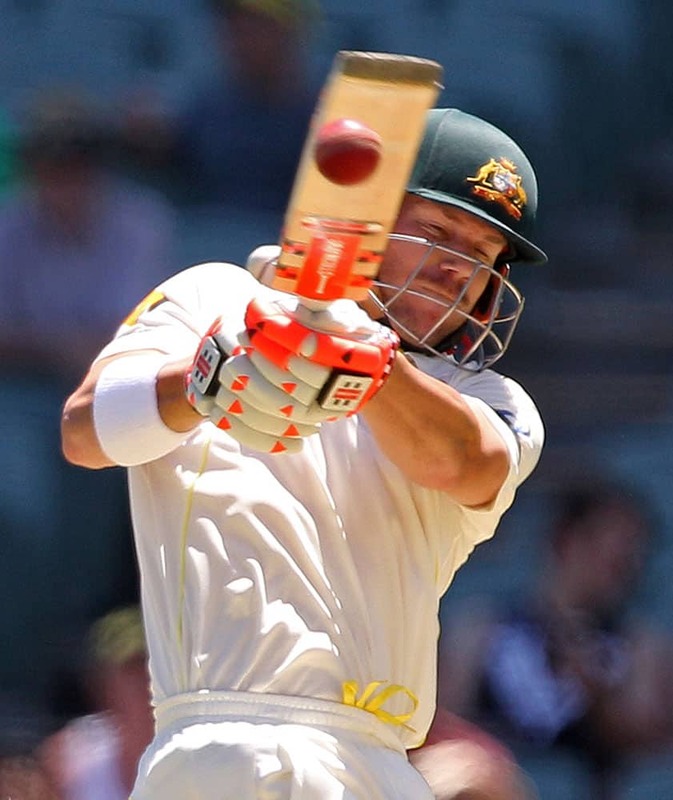 Australia's David Warner plays a shot during the fourth day of their cricket test match against India in Adelaide. 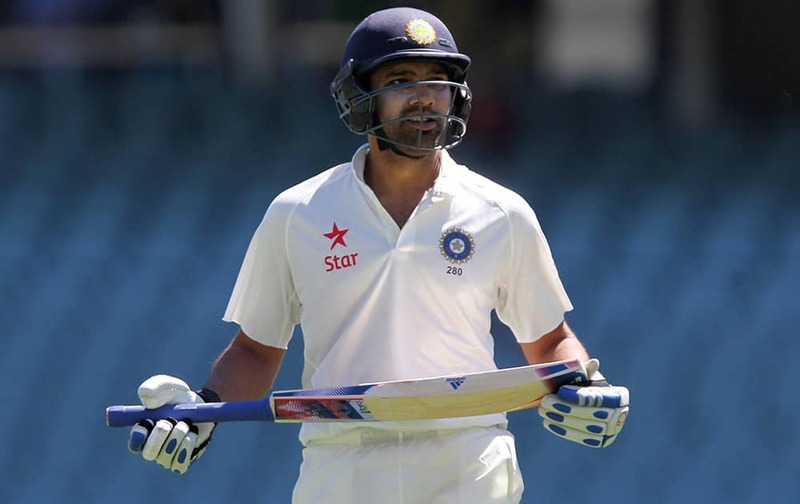 Rohit Sharma walks from the filed after he was dismissed during the fourth day of their cricket test match in Adelaide. 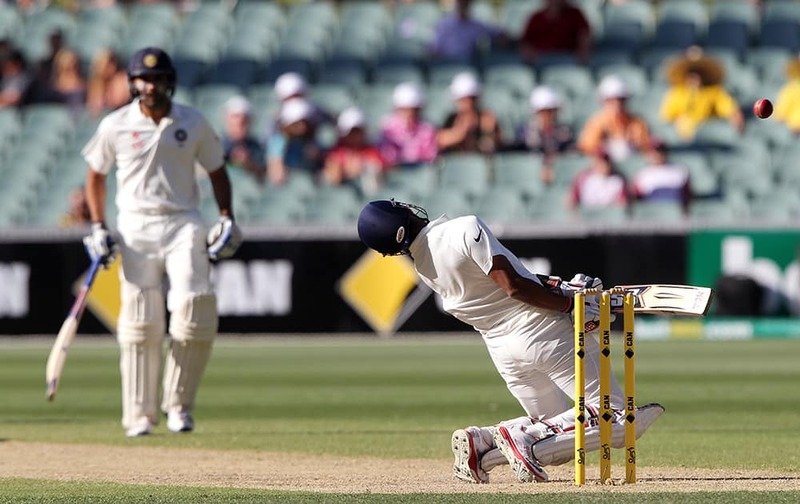 Rohit Sharma, leans back to avoid a high delivery from Australia's Mitchell Johnson as teammate Wriddhiman Saha watches during the third day of their cricket test match in Adelaide, Australia. 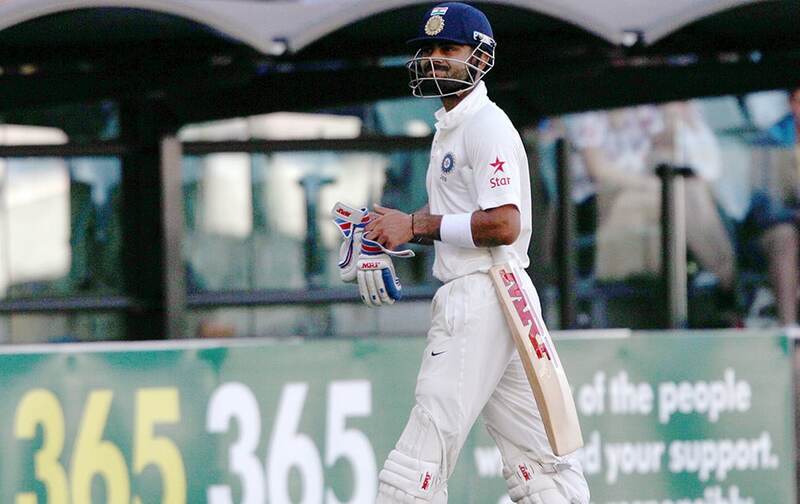 Virat Kohli walks off after he was caught out for 115 runs against Australia during the third day of their cricket test match in Adelaide, Australia. 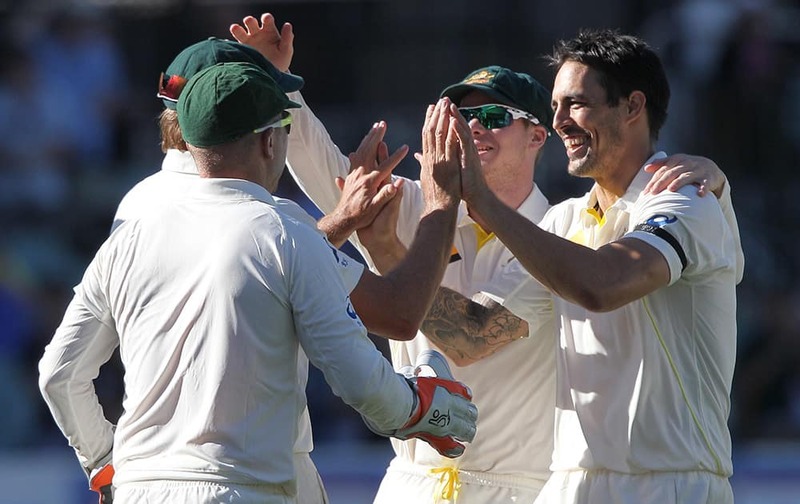 Australia's Mitchell Johnson, celebrates with teammates after taking the wicket of India's Virat Kohli for 115 runs during the third day of their cricket test match in Adelaide, Australia. 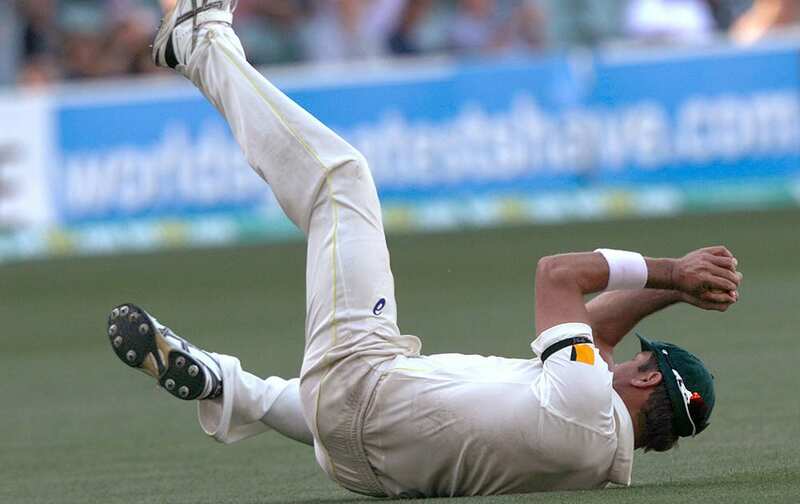 Australia's Ryan Harris catches out India's Virat Kohli for 115 runs during the third day of their cricket test match in Adelaide, Australia. 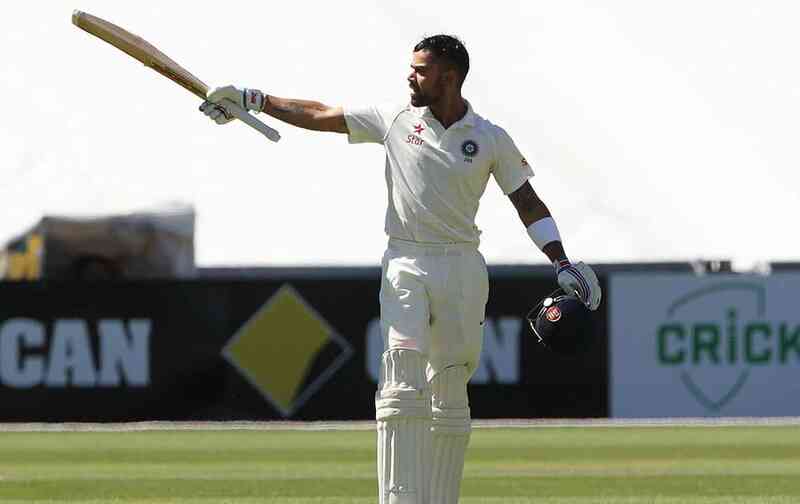 India's Virat Kohli raises his bat after making 100 runs against Australia during the third day of their cricket test match in Adelaide, Australia. 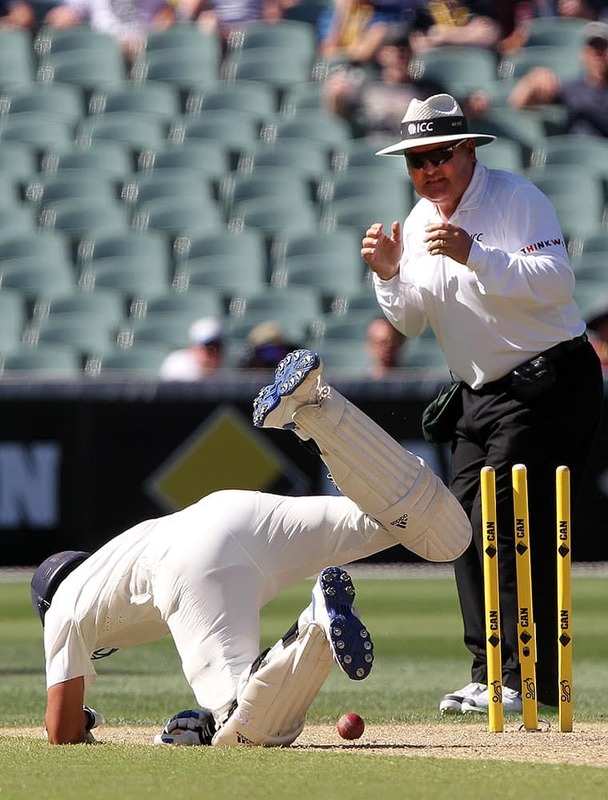 India's Rohit Sharma, dives back to his crease as umpire Marais Erasmus watches during the third day of their cricket test match against Australia in Adelaide, Australia. 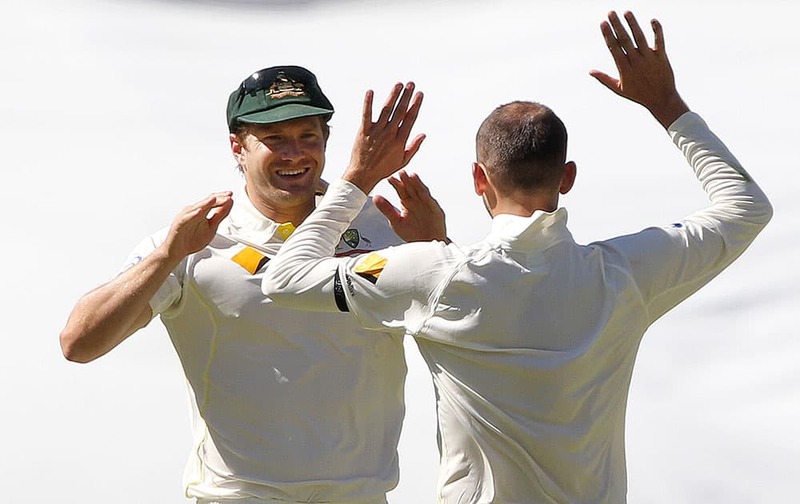 Australia's Shane Watson and Nathan Lyon celebrate after they combined to take the wicket of India's Ajinkya Rahane for 62 runs during the third day of their cricket test match in Adelaide, Australia. 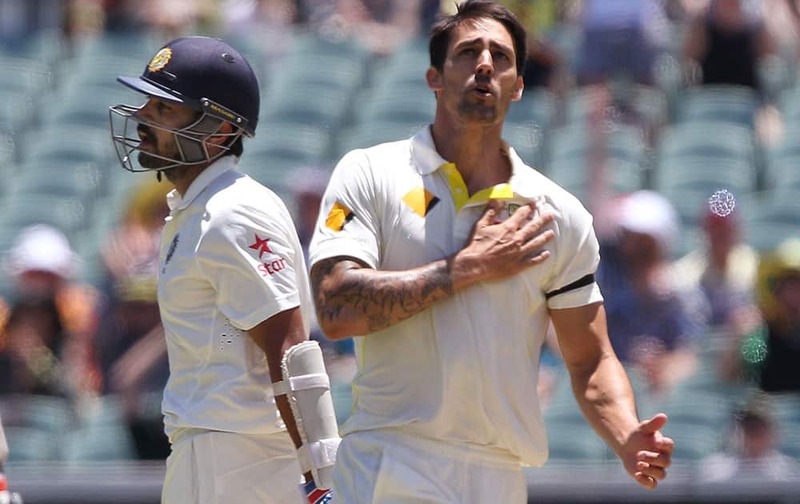 India's Virat Kohli is checked by Australia's Mitchell Johnson, Steve Smith and David Warner, after Kohli was hit in the head with a bouncer from Johnson during the third day of their cricket test match in Adelaide, Australia. 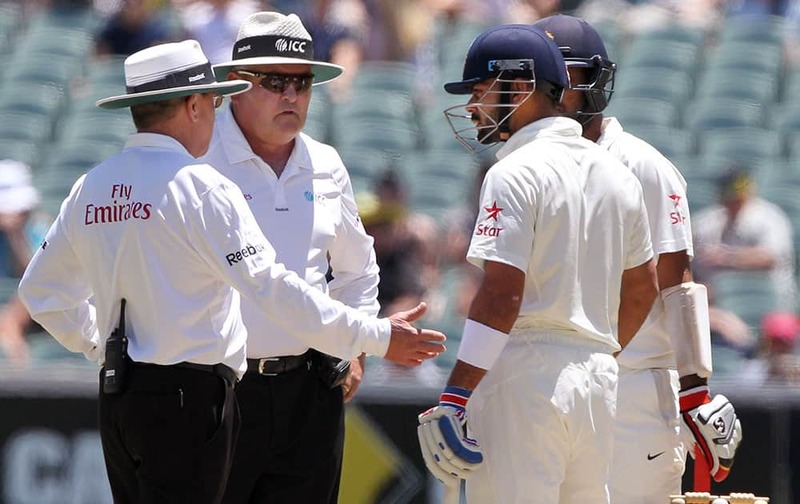 India's Virat Kohli is checked by the umpires, Ian Gould and Marais Erasmus after he was hit in the head by a bouncer from Australia's Mitchell Johnson during the third day of their cricket test match in Adelaide, Australia. 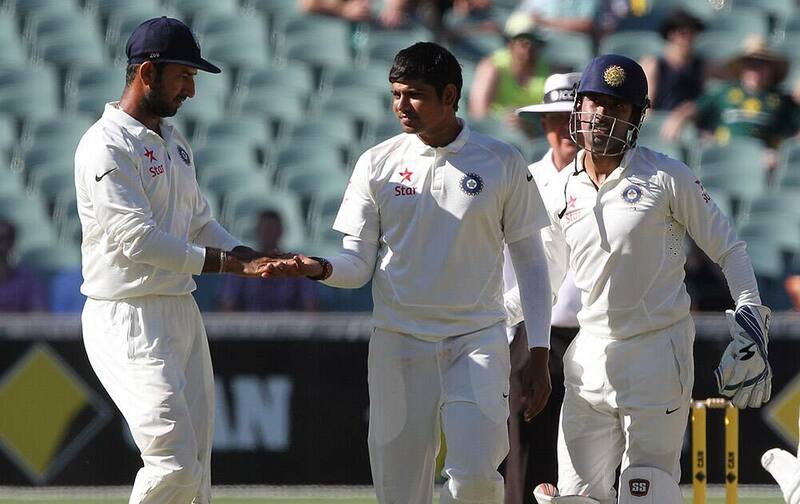 India's Murali Vijay begins to leave the field after his wicket fell to Australia's Mitchell Johnson for 53 runs during the third day of their cricket test match in Adelaide, Australia. 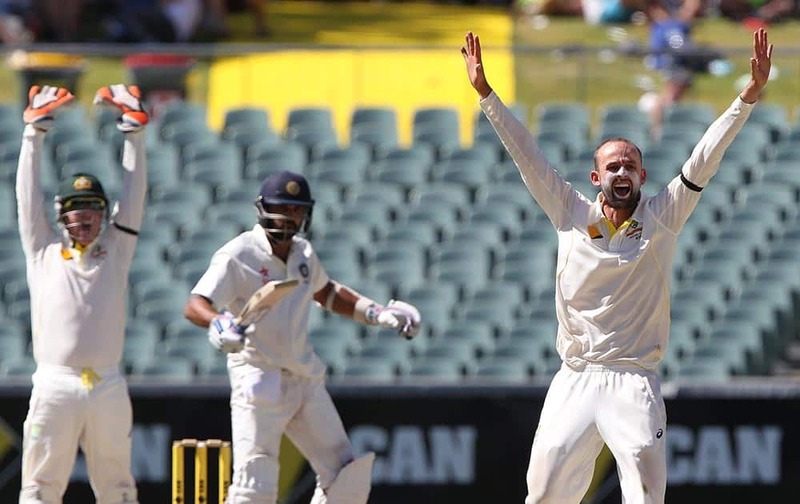 India's Shikhar Dhawan turns to see he is bowled by Australia's Ryan Harris during the third day of their cricket test match in Adelaide, Australia. 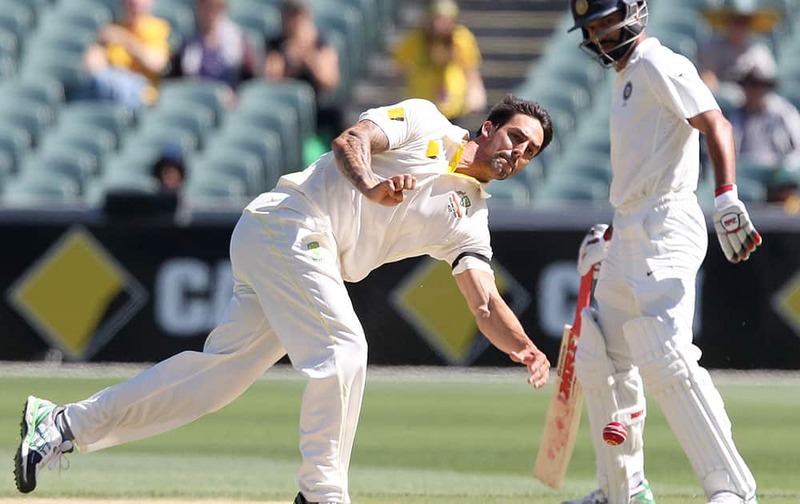 India's Shikhar Dhawan watches as Australia's Mitchell Johnson fields on the wicket during the third day of their cricket test match in Adelaide, Australia. 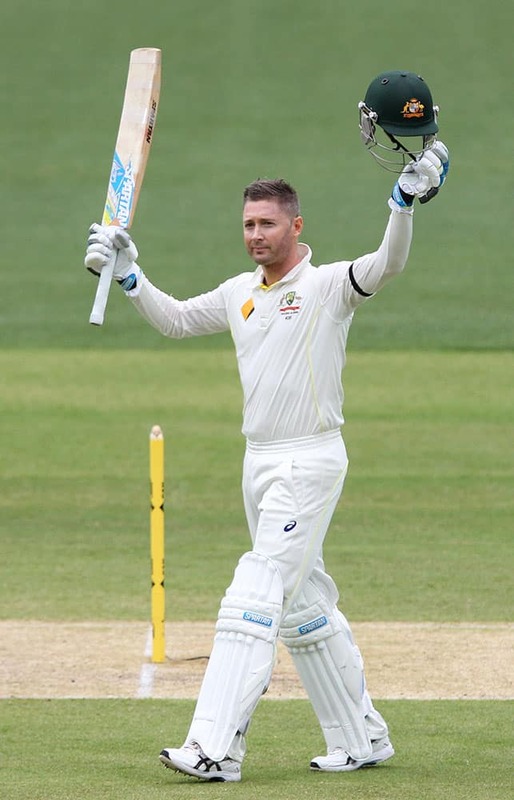 Australia's Michael Clarke celebrates making 100 runs during the second day of their cricket test match against India in Adelaide, Australia. 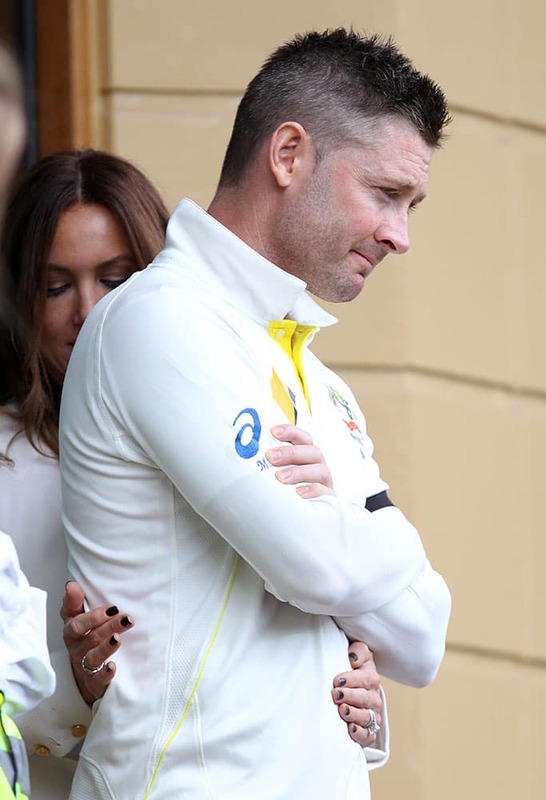 Australia's captain Michael Clarke receives attention to his back from his wife, Kyly, during a rain delay during the second day of their cricket test match against India in Adelaide, Australia. 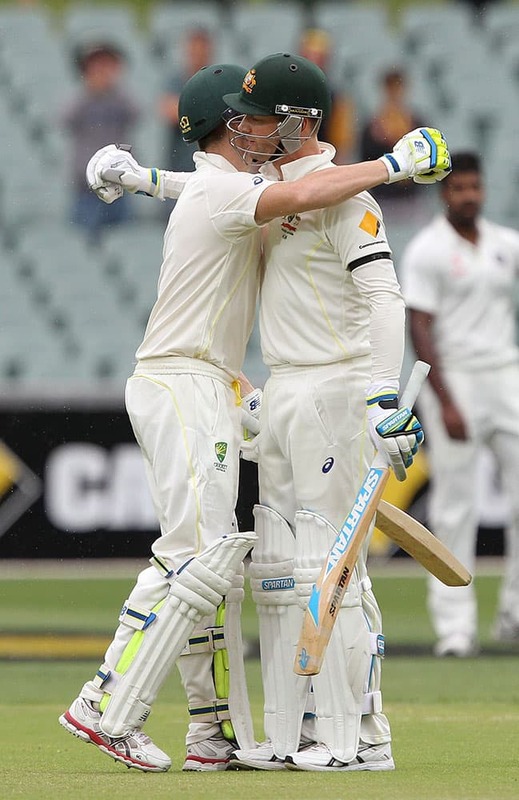 Australia's Steve Smith, left, is embraced by his captain Michael Clarke after Smith made 100 runs during the second day of their cricket test match against India in Adelaide, Australia. 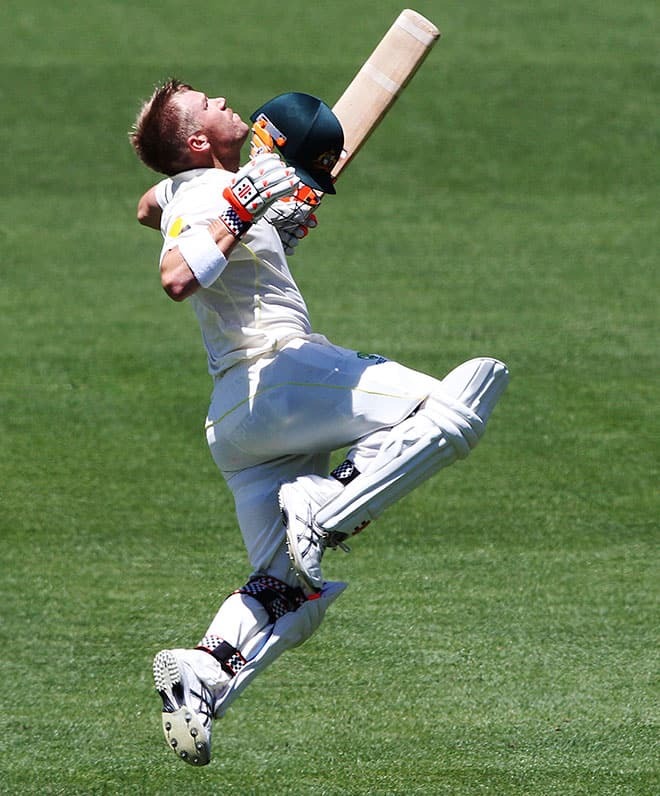 Australia's Steve Smith begins to celebrate making 100 runs during the second day of their cricket test match against India in Adelaide, Australia. 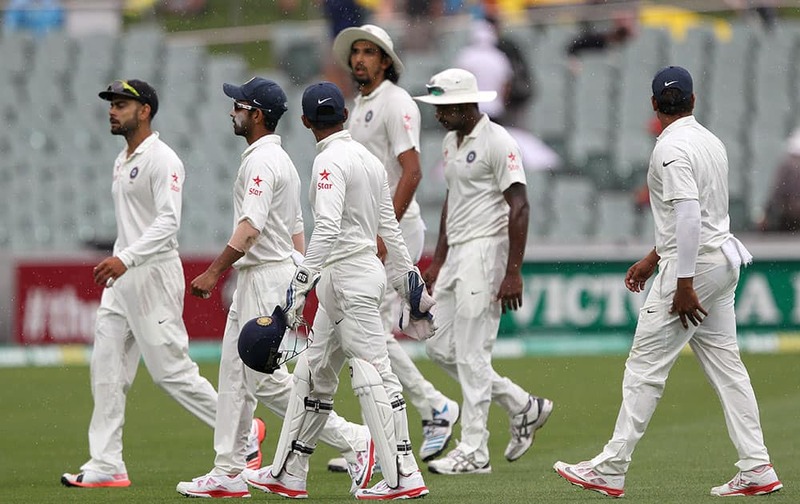 India players leave the field during a rain delay during the second day of their cricket test match against Australia in Adelaide, Australia. 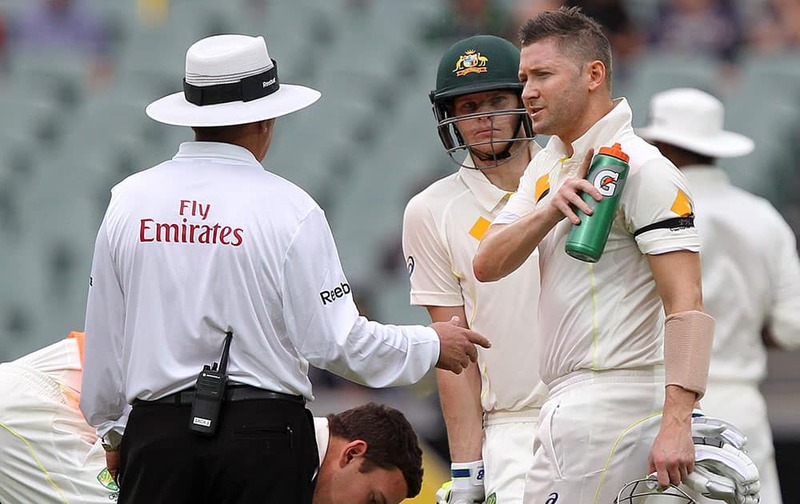 Australia's captain Michael Clarke, right, talks with umpire Ian Gould, of England, shortly before a rain delay during the second day of their cricket test match against India in Adelaide, Australia. 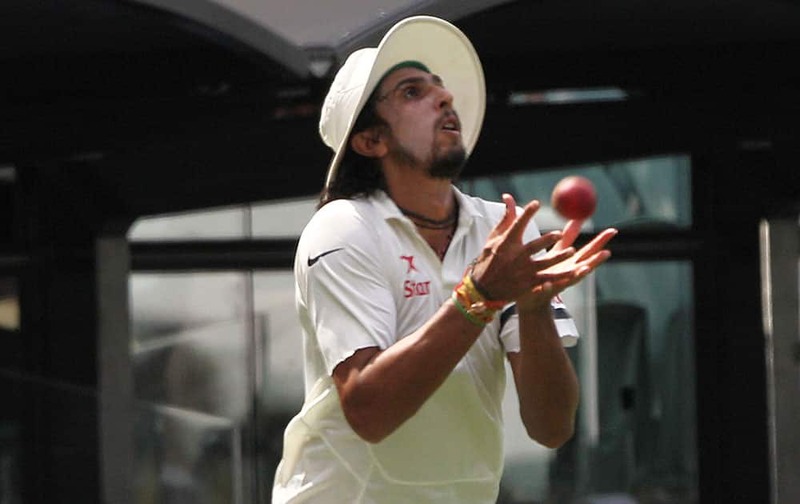 India's Ishant Sharma inspects the ball before bowling to Australia during the second day of their cricket Test match in Adelaide, Australia. 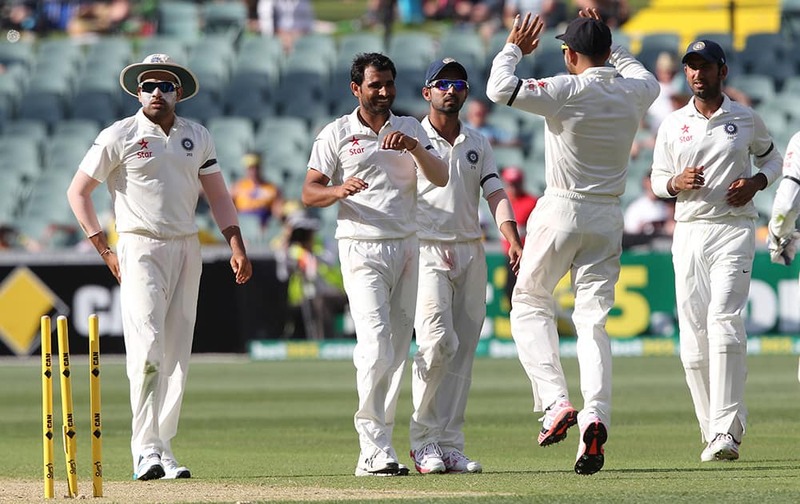 Mohammed Shami celebrates the wicket of Australia's Nathan Lyon, during the first day of the cricket match in Adelaide, Australia. 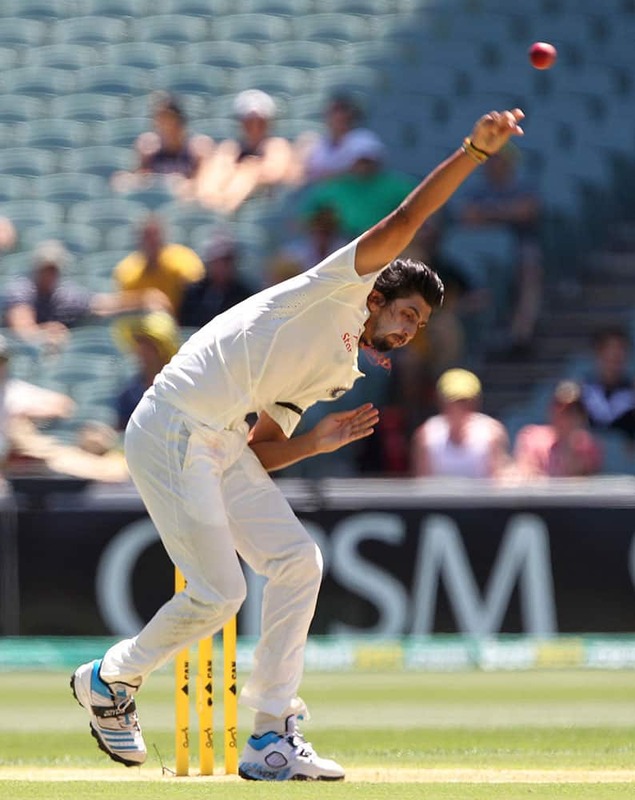 Mohammed Shami, bowls Australia's Nathan Lyon, during the first day of the cricket match in Adelaide, Australia. 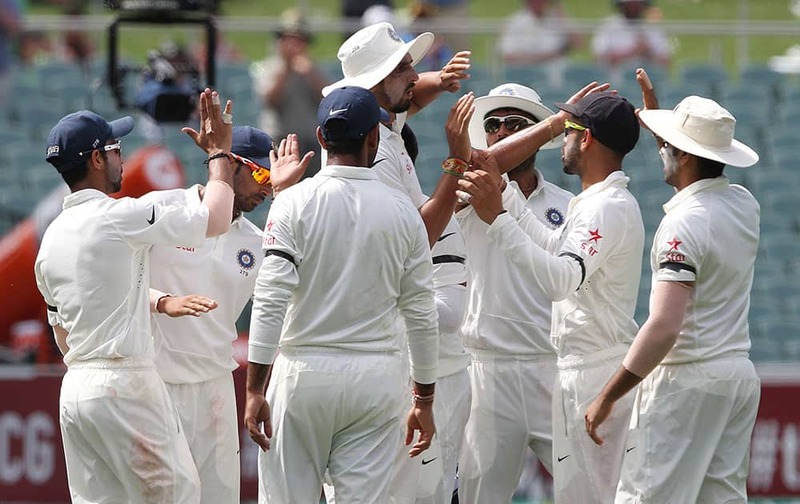 Indian players celebrate the wicket of Australia's Mitchel Marsh, left, during the first day of the cricket match in Adelaide, Australia. 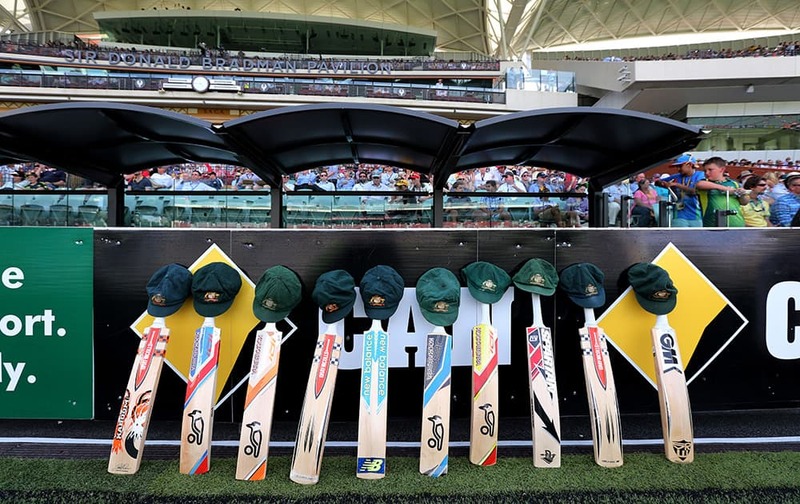 Bats line up in honor of late Australian cricket player Phil Hughes, during the first day of the cricket match between Australia and India in Adelaide, Australia. 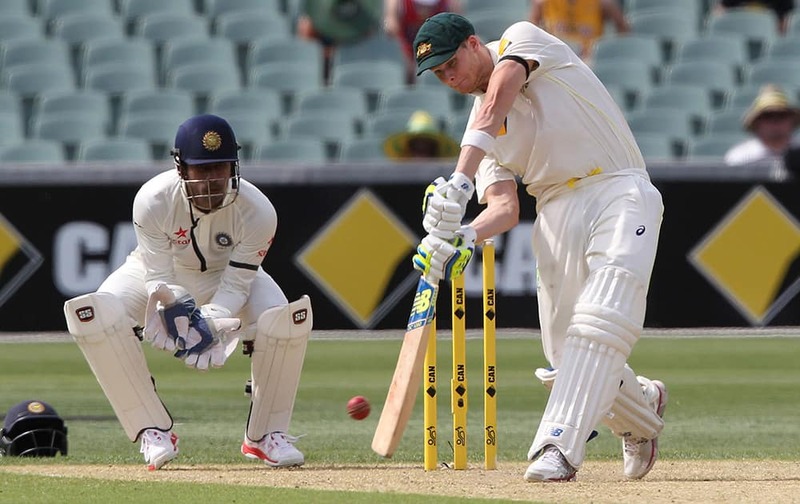 Australia's Steven Smith drives the ball during the first day of the cricket test match against India in Adelaide, Australia. 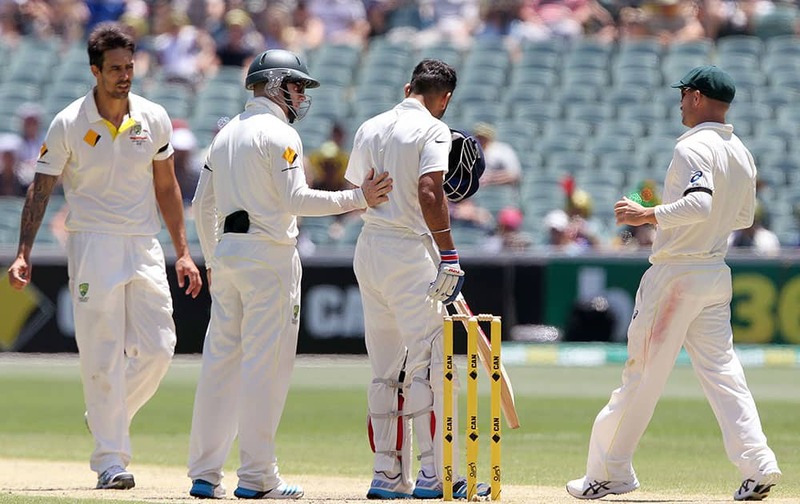 Australia's David Warner walks after losing his wicket during the first day of the cricket match against India in Adelaide, Australia. 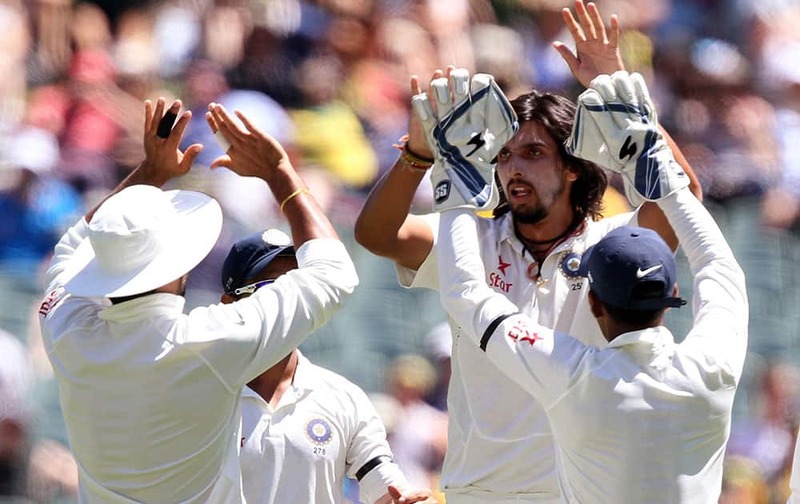 India's Ishant Sharma, center, celebrates catching Australia's David Warner during the first day of a cricket test match in Adelaide, Australia. 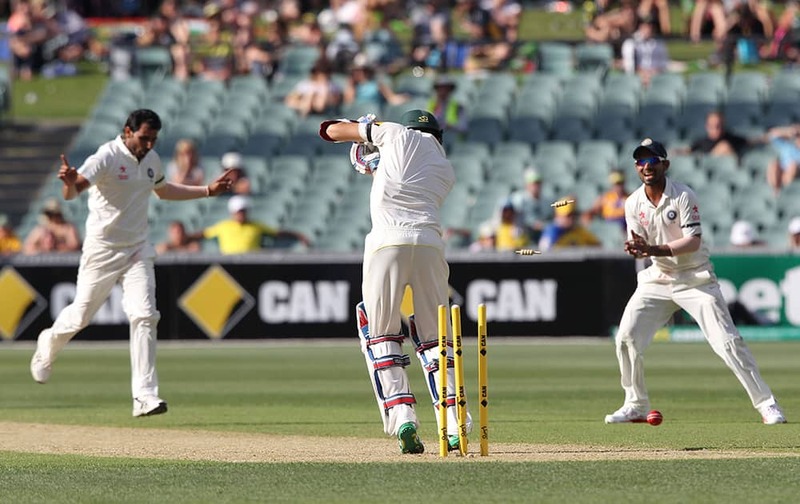 India's Ishant Sharma catches out Australia's David Warner during the first day of a cricket test match in Adelaide, Australia. 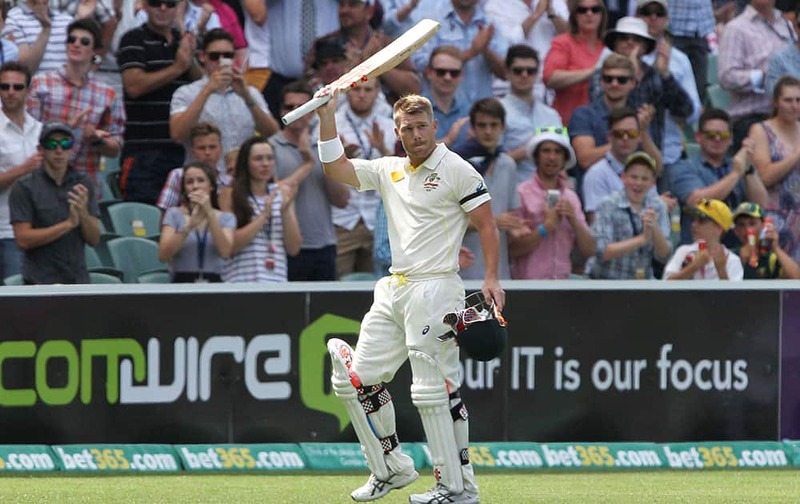 Australia's David Warner celebrates scoring a century during the first day of the cricket match in Adelaide, Australia. 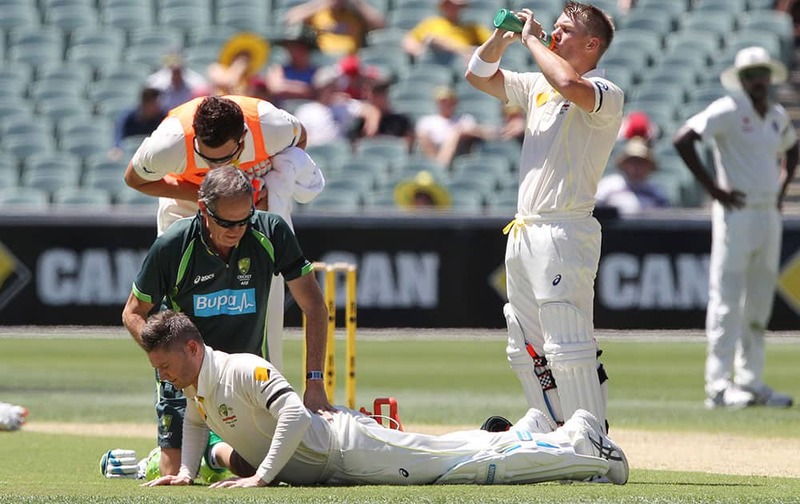 Australia's Michael Clarke stretches after injuring himself during the first day of a cricket test match against India in Adelaide, Australia. 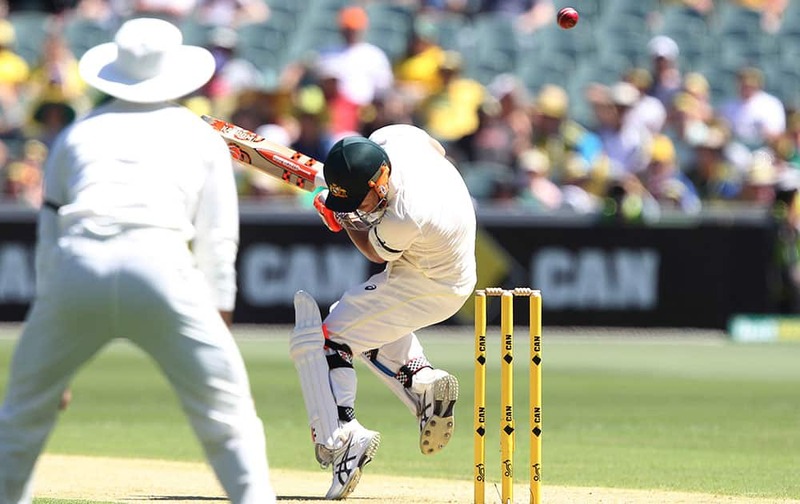 Australian batsman David Warner hits the ball during the first day of the first cricket test against India in Adelaide, Australia. 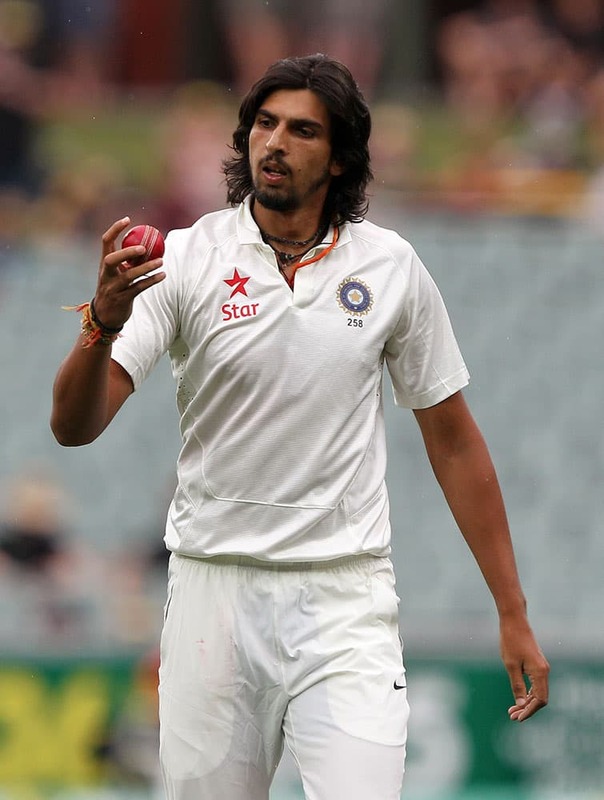 India's Ishant Sharma bowls during the first day of the cricket match against Australia in Adelaide, Australia. 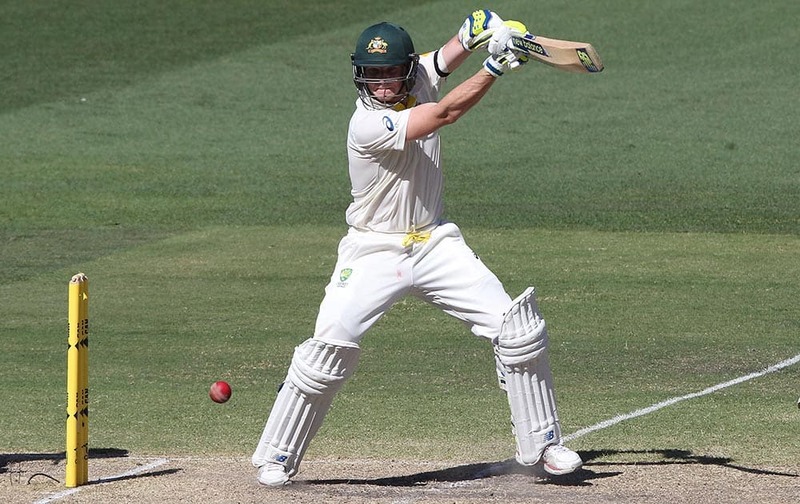 Australia's David Warner pulls the ball during the first day of the cricket match against India in Adelaide, Australia. 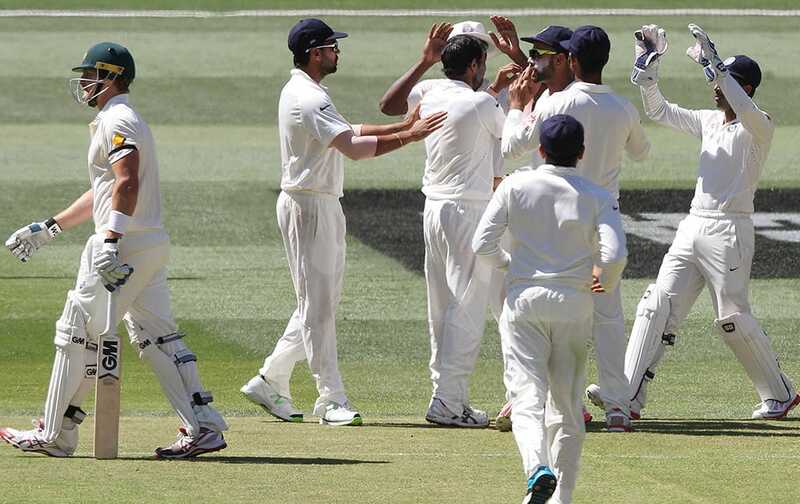 India's Ishant Sharma, second right, celebrates with teammates after taking the wicket of Australia's Chris Rogers for 9 runs during the first day of a cricket match in Adelaide, Australia. 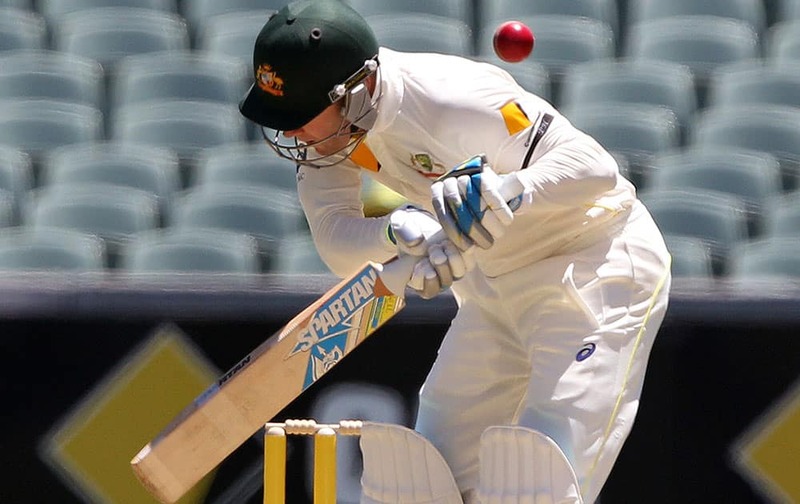 Australia's Michael Clarke has a ball fly over his back during the first day of the cricket match against India in Adelaide, Australia. 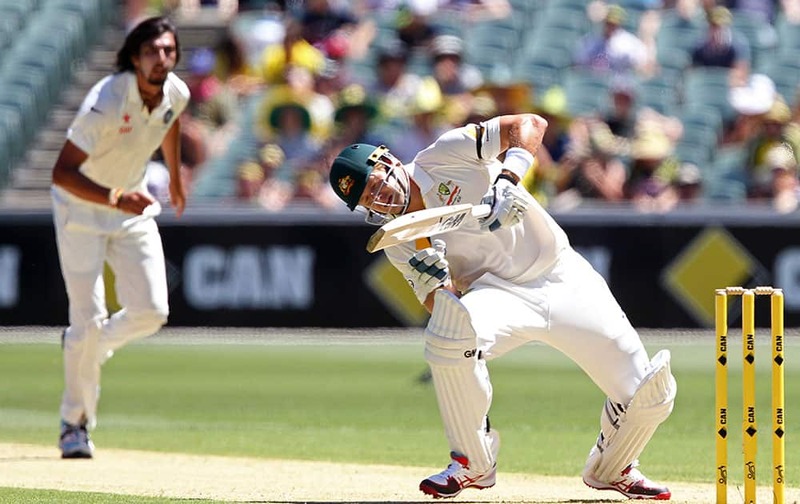 Australia's Shane Watson, right, stumbles following a delivery from India's Ishant Sharma, left, on the first day of a cricket test match in Adelaide, Australia. 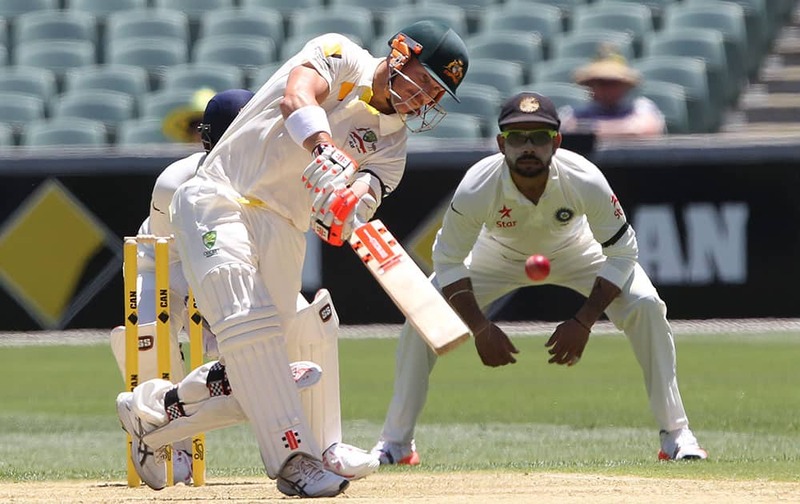 Australia's David Warner ducks a bouncer from India's Varun Aaron during Day 1 of the cricket match in Adelaide. Australia. 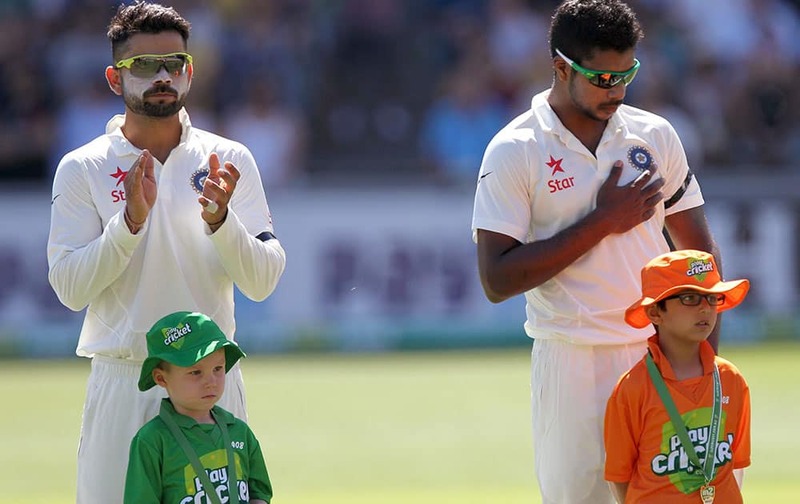 India's cricket players Virat Kohli, back left, and Varun Aaron, back right, wear black armbands as a tribute to Australian cricket player Phillip Hughes during a ceremony at the beginning of a cricket match against Australia in Adelaide, Australia.